Gold Cups by Neptune Glassworks. Uri Davillier. Hand-made, hand-blown, lampworked, torchworked. Solid gold, 23k gold glass. Custom drinkware solutions. Bourbon Glass, Rocks Glass, Drinkware, On the Rocks, Best Whisky Glass. Lowball. Made in Los Angeles, California. Pure Gold, gold lip. Made in DTLA. Perfect Gift for Dad. Father’s Day Gifts. What to get my dad for Father’s Day. Wedding Gift. Dodged the Bullet. Best Divorce Gift. Based on research published by Nature Communications, the “Scudoid” is a newly discovered geometry that expresses the basic building blocks of all cellular organisms. This composite shape with the funny name describes how tissues develop from simple planes into complex three-dimensional structures. 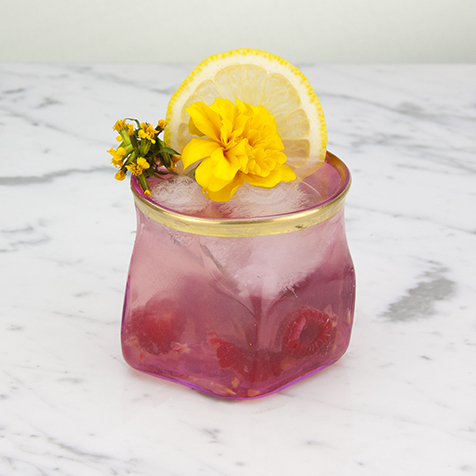 Sold in pairs, these delicate collins glasses will puzzle together perfectly in your cupboard. Gold plated spherical magnets make these two cups VERY difficult to cheers. Perfect for your favorite red or white. Elegant and refined, easy to hold and a great gift for introverts. Elegant and refined, easy to hold and a great gift. Pentagon Cups embellished with 23 karat gold lips. Perfect for your favorite wine or cocktail. Golden Spike Cups - Available in pairs or as a special set of 6. 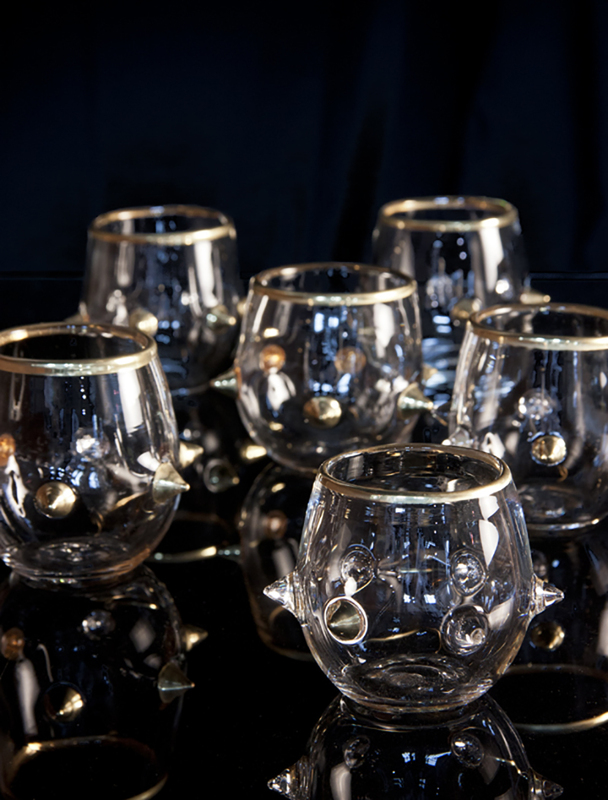 In the set of 6, each cup has a different number of 23 karat golden spikes so you don't lose your glass at your next party. Perfect for your favorite wine or fine liquor served neat. 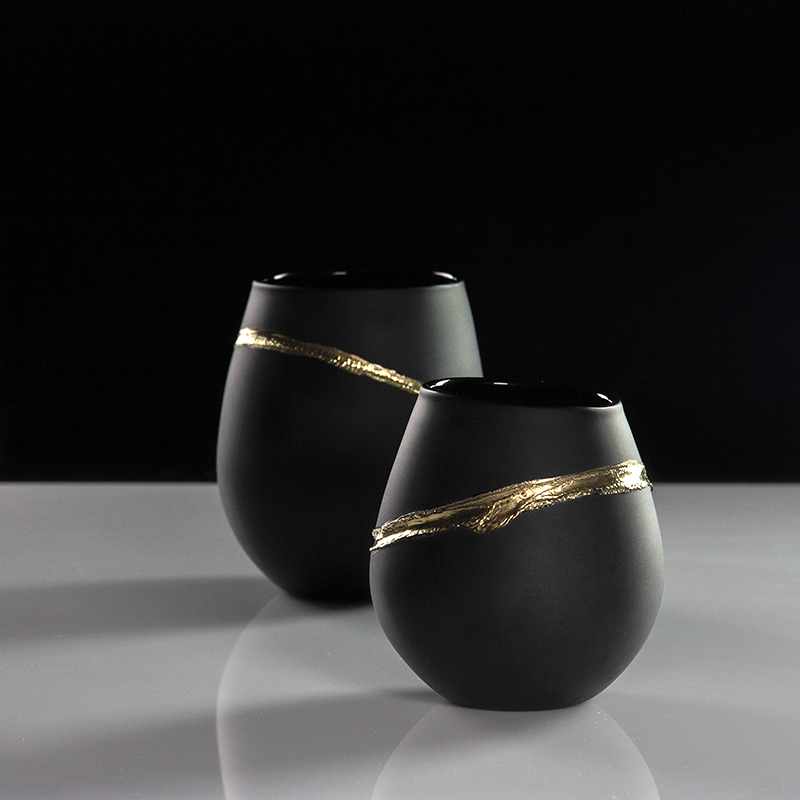 These velvety black hand-blown glass cups have been scarred by plasma and embellished with 23k gold. Inspired by Tibetan Singing Bowls these Golden Sake Cups are double walled to keep your beverage insulated.